Men's long sleeve checked shirt from Tokyo Laundry. Cut from a soft touch cotton blend with an all-over check print, the regular fit 'Nashville' flannel shirt features a pointed collar, central button fastening and tonal patch pocket to the chest with small logo badge. 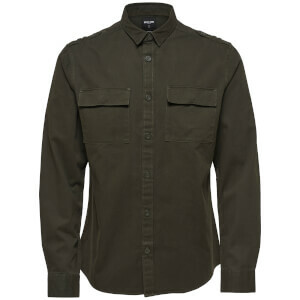 Complete with long sleeves, buttoned cuffs and a slightly curved hem. Straight yoke.